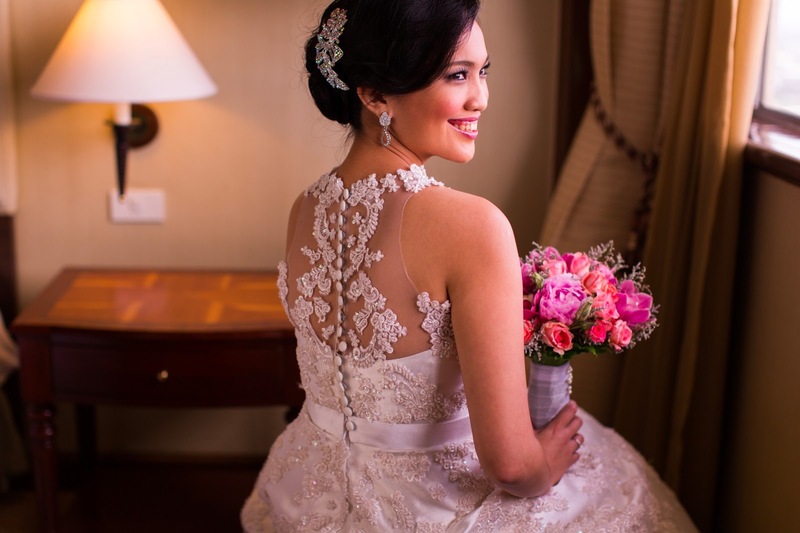 Probably the two most important things for a bride on the wedding are THE bridal gown and the bridal makeup. These two can make or break the bride's mood on the special day. Early on, I knew I would be getting Wenwen Zaspa to do my makeup. I've been doing research on wedding blogs and websites and I loved his work - natural, not too made-up, and best of all, the bride's features are accentuated, not changed! It'd definitely be horror of all horrors when nobody can identify the bride anymore (including the groom) because of the drastic changes brought about by makeup. It's definitely called makeup, not make-over for a reason. 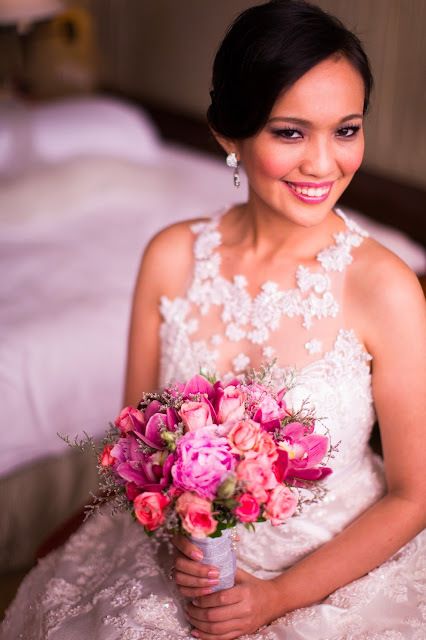 :) Wenwen is one of the sought-after makeup artists in Cebu, so better book him in advance for his services. I was so happy with the compliments about the makeup. With the outcome, Wenwen is definitely worth it. Wenwen is very professional and organized and he makes even the most serious "no-nonsense" people smile with his antics and jokes. 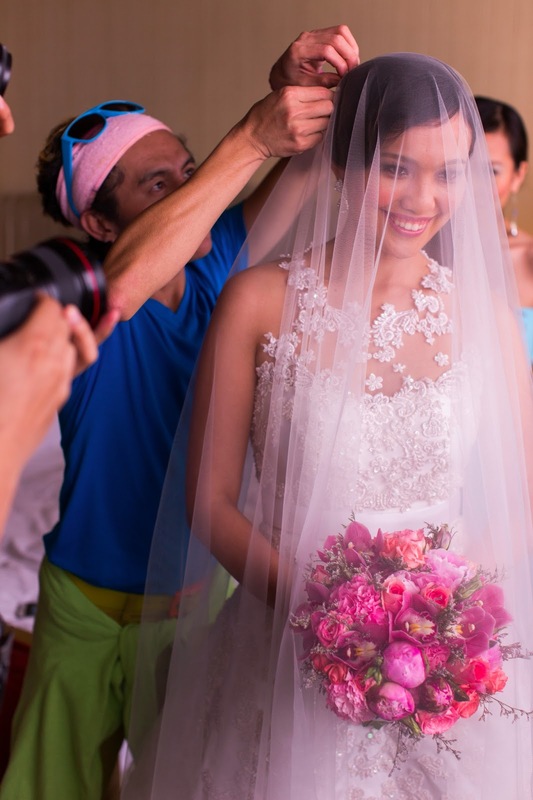 With Abbai, Jing-Jing, and Aries, he calls his crew the "entertainment package" because that's what they do on top of their job - making sure there's no tense feelings and the vibe is light and happy and stress-free in the bridal suite. 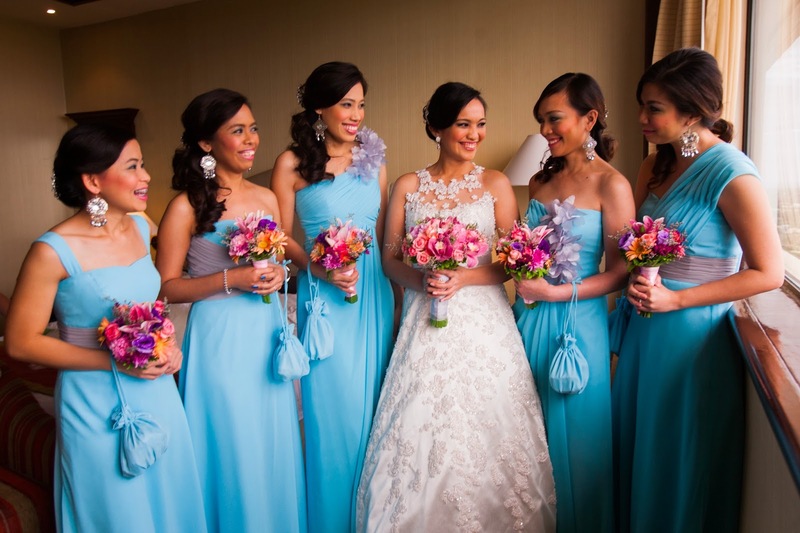 The bridal suite came to life when they came in and started their work, and to be quite honest, it took my mind off the stress and eased the butterflies fluttering in my tummy during the preps. I liked how he worked on my face and flaws and accentuated my assets. The result was natural-looking, barely there bridal makeup. I told him if only I could not wash off the gunk afterwards. :) I admire how JingJing (Wenwen's sister), works the business related stuff from bookings, inquiries to appointments and how organized she was at it. They also use high-grade (branded) and high-quality makeup and with my sensitive skin and all, I never got any irritations after. (They also did my makeup twice for the video shoots). Ronald is already making a name for himself and making buzz in the fashion scene, not just locally but internationally as well. So we took J's cousin's word for it and met him. He listened to what I wanted, and drafted what looks be a pretty design, though to be honest I had trouble deciphering it at first too. Because we didn't have enough time to meet other suppliers already, we went ahead and booked him. Overall, I think the gown speaks for itself. J looked dapper in his suit, and the bridesmaids and mothers were prettified as well. I have to be honest, it wasn't a painless collaboration with Ronald and his team. Ronald's personality is a bit aloof and shy and it felt like I had to ask the questions and everything so I can have an idea of what the design is like. 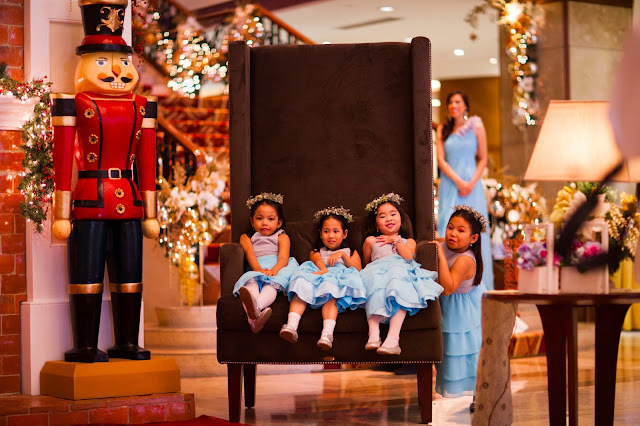 We had some bumps during the fittings, when they did not have anything ready for us to fit and it was sort of disappointing because we needed to be on schedule knowing we only have a few days in Cebu for the wedding preps. This happened a few times with my mother as well, who would go to Cebu just for her fittings only to find out (and go back to Bohol) that there's nothing to fit. The final straw was the wedding day itself. Regarding the delivery of the actual gowns, they promised to do it at 9pm on the eve of the wedding. I slept at around 12 midnight and wasn't worried they weren't able to deliver as I expect they would deliver on the next morning. But by morning I did not mean 2:30 am! My sister (who was in the bridal suite with me) and I woke up to the sound of the phone ringing and knocks on the door, and hail - they were there ready to deliver the gowns and set-up everything. And yes, PINCH ME PLEASE, it was already dawn time. It just felt irksome and downright inconsiderate at that point, as everybody knows that the bride and entourage should have their beauty-rest right before the big day. During the dress-up, I was also disappointed that we couldn't find any of their staff to assist us. It was all up to us to dress ourselves at that point. Sariling sikap. ;) Apparently they had accepted three weddings that day, and clearly they were under-staffed for the jobs they took. So, yes, that's how my experience with the couturier went. It took a whole lot of patience and understanding and a lot of prayers to be patient, the only consolation is - the product's well-done and the gown's very pretty. But was it worth the missed schedules, waste of time, stress and the sleepless night? Hmm.